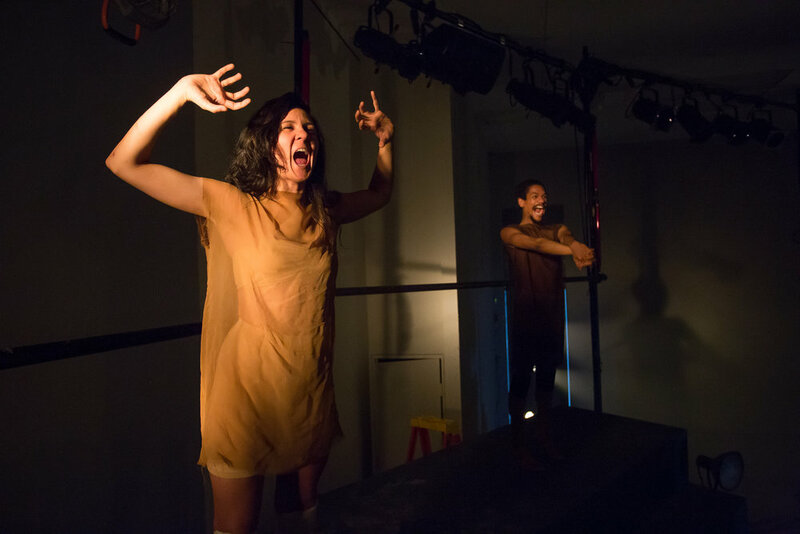 CAENIS is a physical theater adaptation of "The Lapiths and the Centaurs" from Ovid's Metamorphoses. Maddy produced its world premiere at PACE Gallery in New York City in 2015.
with Lucy Kaminsky (Caenis), Rebeca Rad, Isabella Sazak, Sohina Sidhu, Krystel Mazzeo, Sara Ciampa, Ashton Muniz (Latreus), Ita Segev, Neil Redfield, Jae Woo, & Ethan Hardy. Read the full Culturebot review here.